The first snow of 2017 has fallen and with that brings the desire to curl up with hot chocolate and a good book. 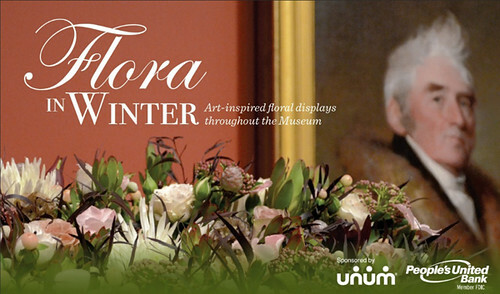 Fortunately, we are featuring exhibitions that are exciting to see even on the coldest days of January. 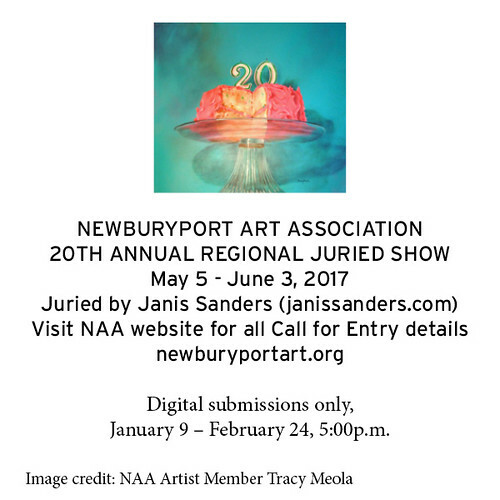 This week we're featuring The Chandler Gallery, Gallery BOM, and The Housatonic Museum of Art. 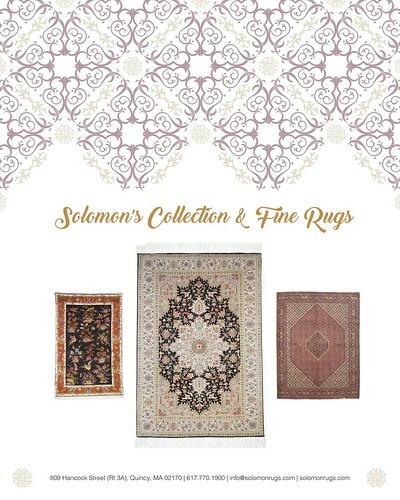 With different artists and unique styles, there is something for everyone. Brave those cool mornings and chilly nights and experience these powerful exhibitions. The Chandler Gallery at Maud Morgan Arts hosts Countermoves: Cuba and Uganda now through February 3 in Cambridge, Massachusetts. The exhibition features artists Robin Boger and Sean Kernan who use photography to capture intimate details of the lives of their subjects, whether that be in city and rural life in Cuba or at a boxing club in Kampala, Uganda. Robin Boger and Sean Kernan, despite their different styles and approaches to photographing their subjects, complement one another. Where often shows the face of the subject, giving more detail to who they are as an individual, Kernan typically shoots close up images of details one would find in a boxing club, such as tying ropes on ones knuckles or a firm fist. Boger is more expansive whereas Kernan is more intimate, capturing the subjects varying emotions including concentration, exhaustion, sorry and hope. 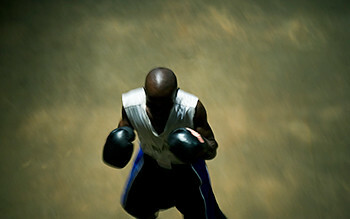 Sean Kernan notes that the experience was "quite visceral" and felt as though he "was literally joining in the boxing dance" giving the photos a sense of intimacy, where Robin Boger felt as though her photographs "convey a feeling of eavesdropping on people, objects and environments." Delving into the lives of their subjects, the artists immersed themselves within a community in order to gain a greater understanding of those they were photographing. Kernan states of the exhibit, "We both went into other universes than our own, but our responses were quite different." The difference in style and technique is exciting and enticing to all viewers. Countermoves: Cuba & Uganda is on view at the Chandler Gallery in Cambridge, Massachusetts now through February 3. For more information click here. Deadline January 22, 2017. Apply at CAFÈ. 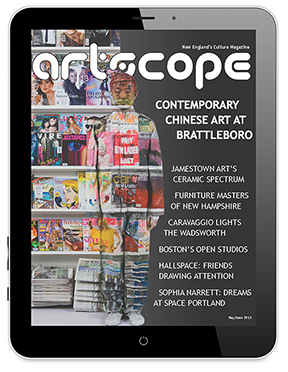 Art League Rhode Island's annual application period for Elected Artist membership is now open. Materials are due before February 10, 2017. Visit www.artleagueri.org for more information. Any successful photograph is a gift," says photographer Robin Z. Boger. "A gift of place, of people and of spirit." 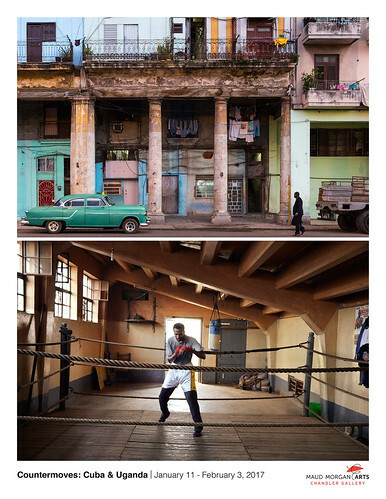 In an upcoming show at the Chandler Gallery, Boger's photographs of city and rural life in Cuba appear alongside Sean Kernan's photographs taken at a boxing club in Kampala, Uganda. "We both went into other universes than our own," says Kernan. "But our responses were quite different." The Gallery BOM proudly introduces Sumin Son in his first solo exhibition in the United States. Originally from South Korea, Son is a prestigious artist and has won many awards during his career, including the Deagu Grand Art Award, Young-nam Grand Art Award and the Kyung-buk Grand Art Award. Sumin Son's works will be on view at Gallery BOM in Boston, Massachusetts now through February 15. Sumin Son, who has been in several solo exhibitions as early as 2010, has a style that is both vintage and modern, combining old and new in the work. His different "collections" incorporate different subjects on a bottle top, including pop-art, logos and cartoon characters. However, Son shows his depth as an artist in works such as Empathy that depicts a tiger up-close with intricate detail and precision. Son's I Love You 16 uses both pop-art and hyper-realism to depict roses on the chest of a comic book character, where Full Bloom 1 creates the profile of a woman entirely from bright flowers. Working with acrylic on canvas, Son uses bold colors and precision to create detailed and interesting pieces. After displaying his works over forty times in various locations including Seoul, Singapore, Hong King, Daegu and U.S. Atlanta, Sumin Son has his first solo exhibition in Boston. 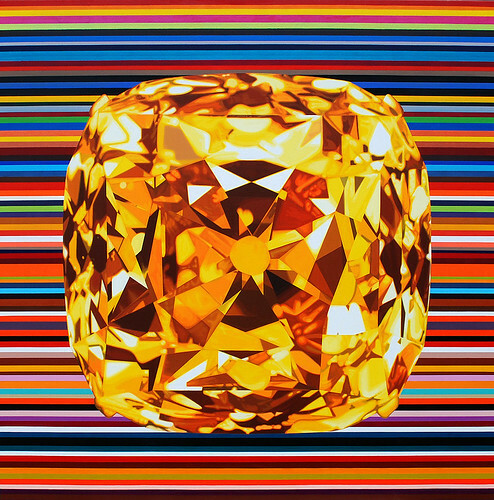 The Invitational Exhibition is a prestigious exhibition and a great debut into solo shows throughout the United States. Sumin Son is on view at Gallery BOM now through February 15. The gallery is open Tuesday through Saturday from 11 a.m. to 6 p.m. For more information click here. The Housatonic Museum of Art is pleased to present Steve McCurry in his solo exhibition India, running now through February 10. Steve McCurry: India features over forty photographs of his time in India and captures the "vibrant color and chaos" of the country, providing insight on the people of India. McCurry, who is best known for the iconic "Afghan Girl" image that was on the cover of National Geographic, is a prominent voice in contemporary photography and has been renowned for over thirty years. 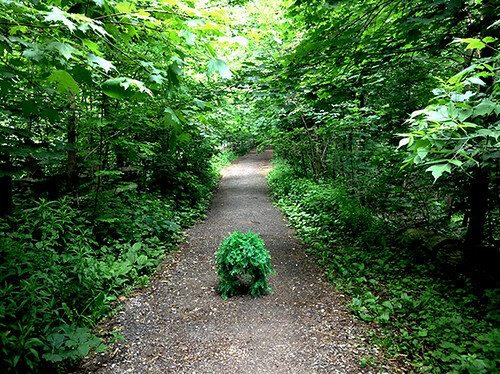 The forty-four photographs displayed at the Housatonic Museum of Art not only portray his journey throughout the country, but the people and places that have influenced his work during his travels. McCurry says of his work, "I was looking for street scenes, images that show the economy, recreation, and religion - pictures that address the key elements of a place and, at the same time, are interesting in their own right." 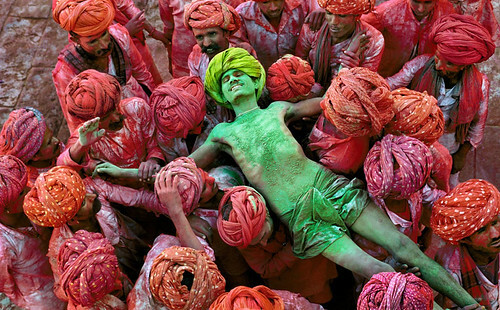 McCurry has accomplished his goals in making key elements interesting, as featured image Rajathan/1996 Crowd carries man during the Holi Festival depicts a man painted bright green is held up by those adorned almost entirely in red. Noting the importance of a photograph standing on its own in a collection of work, McCurry has a gift of sequencing the collection of photographs in a way that each image belongs to itself and works cohesively with the entirety of the collection. Steve McCurry: India is on view now through February 10 at the Housatonic Museum of Art in Bridgeport, Connecticut. For more information click here. 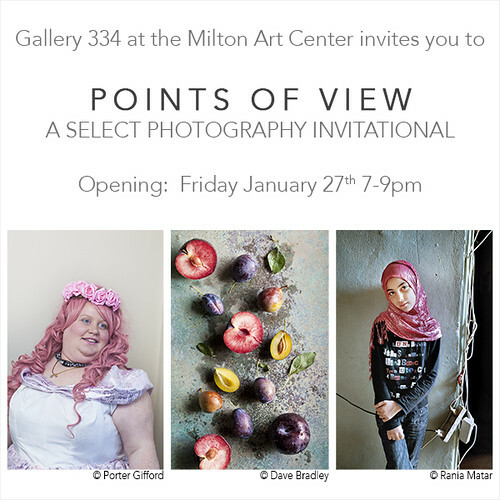 Gallery 334 at the Milton Art Center in Milton, Massachusetts presents Points of View, a photography invitational showcasing a select group of 21 Boston-area photographers with backgrounds ranging from commercial to fine art photography. This first-ever all photography show at Gallery 334 aims to spotlight and celebrate the array of talents specifically within the greater Boston area's diverse photography community. The Points of View exhibition will run from January 27, 2017 to March 11, 2017. Opening Reception is Friday, January 27, 2017 from 7-9pm, and is free and open to the public. 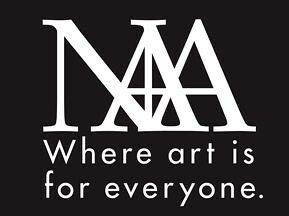 For more information, visit www.miltonartcenter.org. 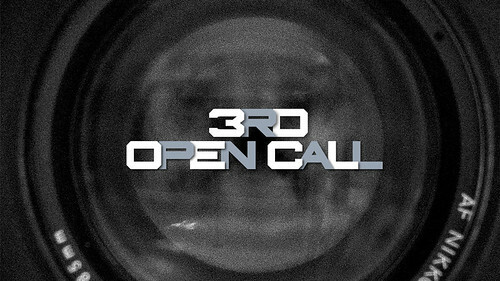 ENT-e, 2014, Gabriela Munguía, robotic installation, video and art intervention. The Last Frontier presents the work of contemporary Latin American artists from a diverse array of perspectives and geographies exploring the border/frontier as a dividing line between states; the reality of lived experience vs. what is portrayed in the media; the dissolution of borders through globalization; borders as an experience of 'us' vs. 'them'; and the blurring lines between virtual and natural spaces.